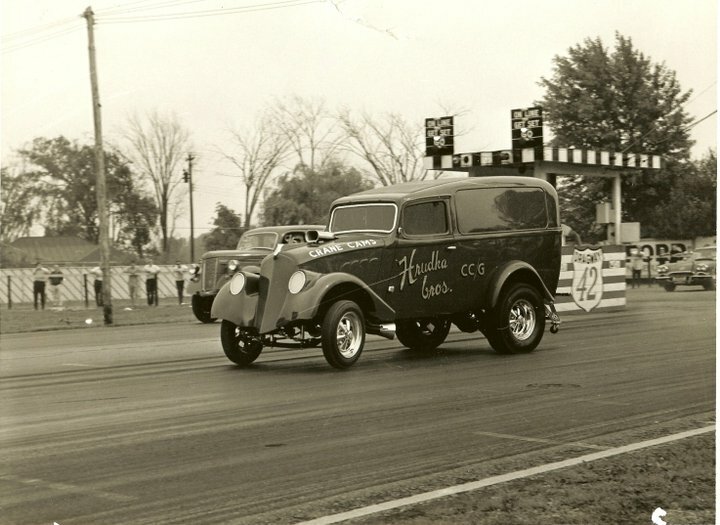 Since the early days of the Quarter Mile Foundation, racers and racing fans have approached the Foundation wishing for the group to have their memories and to allow them to be shared with others. Companies have also wanted us to have their movie and still photo records. QMF has been accepting the films, videos and photos, as well as print documents, and have been converting them to digital images and movies, protecting them from the ravages of time. Because of the needs to protect the owner of the images (movie film, video, still photographs) and/or documents, the Foundation asks potential donors to attest that he/she is the owner of the copyrights to the images, and to release the copyrights to the Foundation for public use. QMF and the Mullin Production Group (MPG), the production company for PROJECT 1320, take the movie film, videotape or still images and convert them to digital formats. The images are filed on large, off-site hard drives, and are cataloged by donor, photographer/videographer (if known), and if known – the location and year. As time passes, the images will be examined by historians and as many of the competitors as possible will be identified. Following the production of the PROJECT 1320 documentary, these materials will be archived and made available to scholars, journalists and authors for research purposes. Again, each image or movie clip will be identified by the donor and the photographer, videographer or author. What happens to the original materials? After the images or film has been digitally converted, QMF burns a DVD-R of the material and will return the original materials and the DVD-R to the contributor. The contributor now has a permanent record of the materials, which will not degrade any further. Will the images be retouched? It will depend upon the circumstances. In most cases, the images will not be enhanced digitally. Only in situations where the footage or the images are significantly important will efforts be made to enhance them. In a sense, the condition of the image adds to the mood of the image. Older images, color film and still photos in particular, were no better than the technology available for the film itself and the processing chemicals, which provided certain color shift to the images – red, blue, yellow in particular. For the most part, those will not be adjusted. Do you accept black and white movies or prints? What format movies do you accept? QMF will accept all formats – 8mm, Super 8, 16mm. Sound or silent. 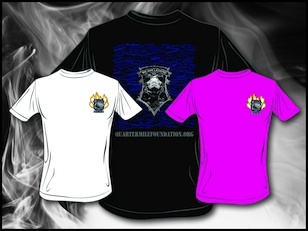 The Foundation will accept film which has been transferred to video tape or to CD or DVD. Will I get any credits? Yes. For individuals and companies that wish to donate the use of their footage and/or photographs, they are added on the production credits as a contributor to the series. Will my images be on the website? Yes. Movies and still photos will be available for visitors to PROJECT1320.com to view. We will be asking viewers to help us identify cars, people, locations and the year of movies and still photos where we have holes in the identification from the source. We will be tagging the materials with the donor’s credit. How do I submit my photos, movies? 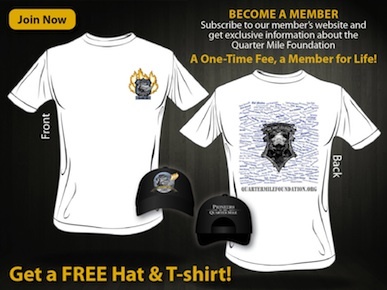 To submit your materials, please download the PDF file and send the materials to the Quarter Mile Foundation. The shipping address is on the form.